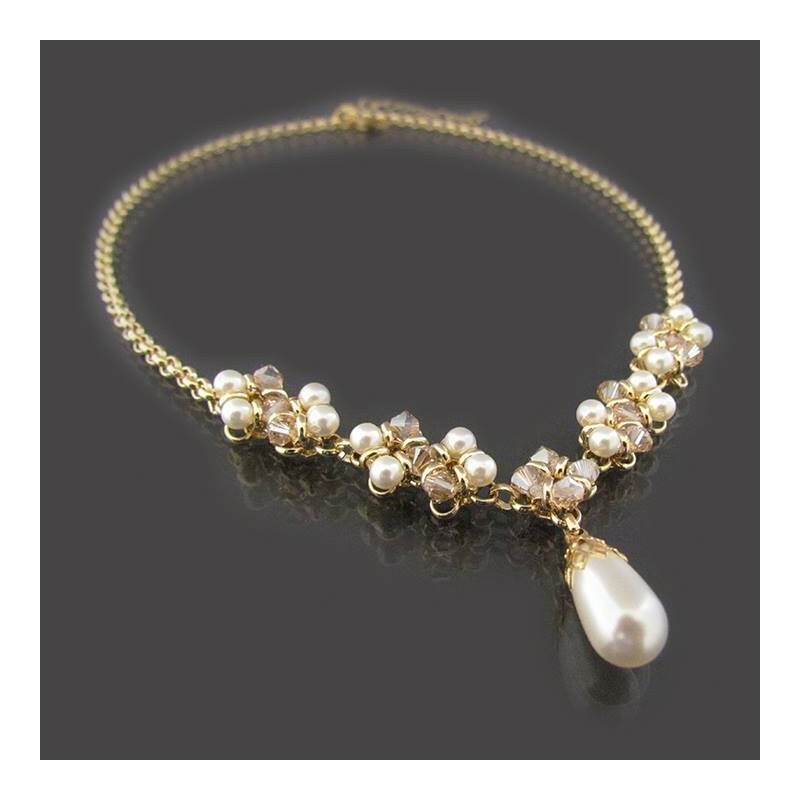 Crystal & Pearl Y Necklace Gold, victorian style, sophisticated pearl crystal statement necklace made of Swarovski pearls and crystals intertwined to a gold plated chain and holding a pearl drop. 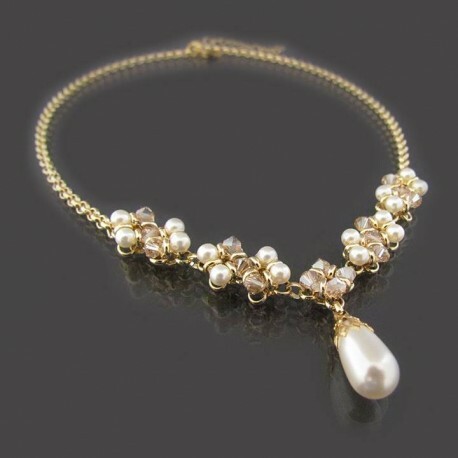 Pearl crystal statement necklace length: 18" /45 cm approx. 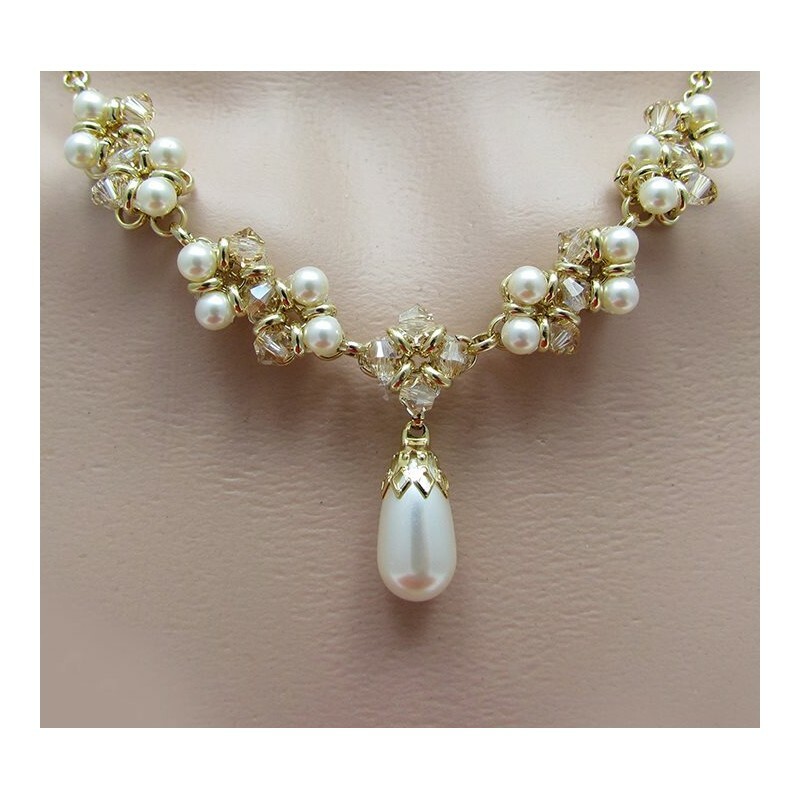 Pearls and Crystals: 4 mm. 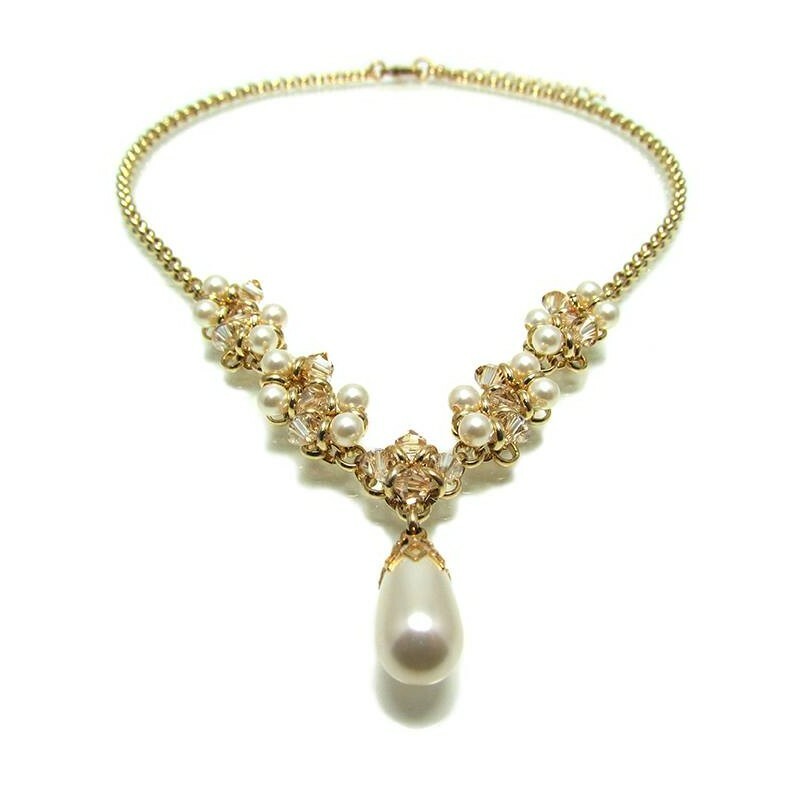 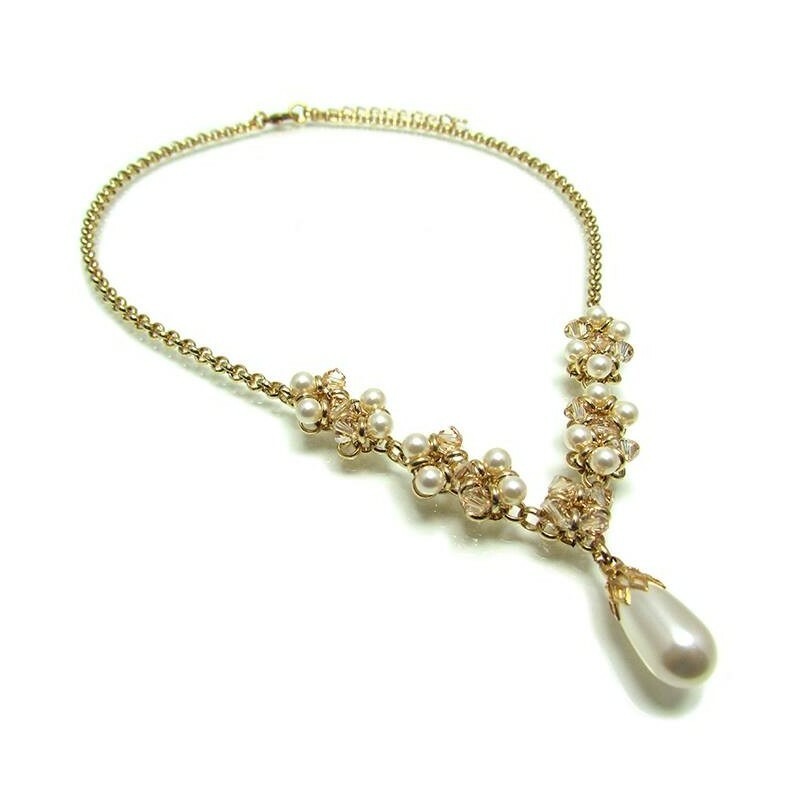 Crystal & Pearl Y Necklace Gold, suitable for brides, bridesmaid or anyone who wants to enjoy it.